A benchmark price can be considered to be a standard price to which other prices can be compared once you are at the stage of evaluating quotations. mSupply provides the ability to set up benchmark prices to help you make such a comparison. This section describes how to set them up and how to use them. The International Medical Products Price Guide, published and maintained by MSH, is available on their website (http://mshpriceguide.org/en/home/) and is a good source of information on medical products from a range of international distributors. You need to create a dummy supplier, that is to say a `virtual' supplier, whose only purpose is to store benchmark prices. 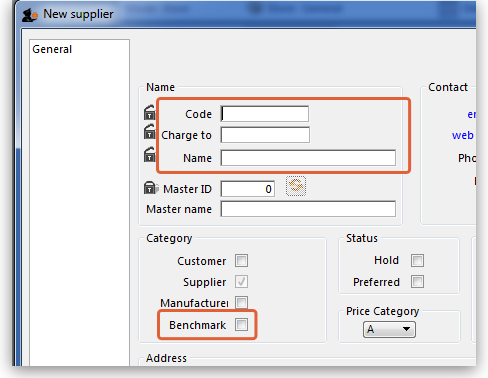 mSupply® requires that the Code, Charge to and Name fields are completed, so you should choose appropriate entries. 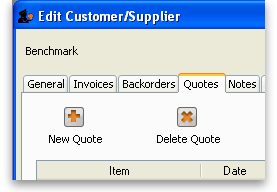 In the Category section, the checkbox Supplier should already be checked, and you must check the Benchmark checkbox. If the figure you have is for a single tablet, we suggest you multiply it by 100 and change the pack size to 100 to avoid working with very small figures. Make sure that the currency used for the entry is correct, remembering that it might be different from your default currency. Make sure that your pack size matches the pack size of the benchmark figure. 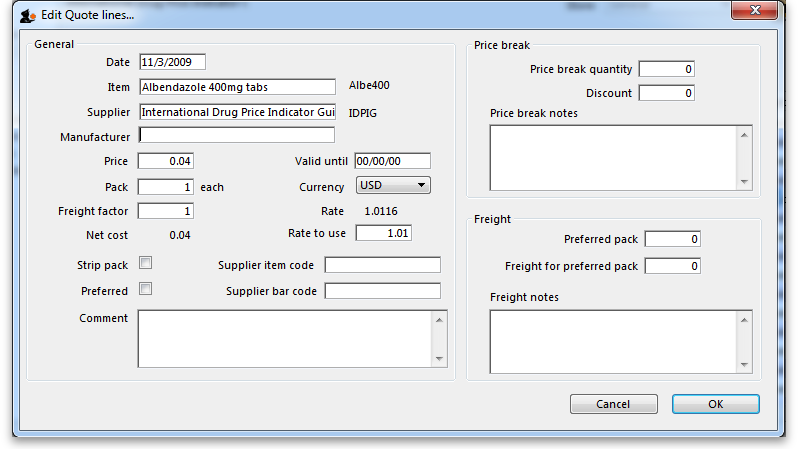 You will note the difference for each item in the Price column and the Cost column; the explanation is that the default currency in this example is AUD (Australian dollars), while the benchmark figures are in US dollars; the Cost (and Adjusted cost) columns show the figures converted by mSupply to their AUD equivalents.